Smith Brandon International has an extensive network of professionals throughout the world. 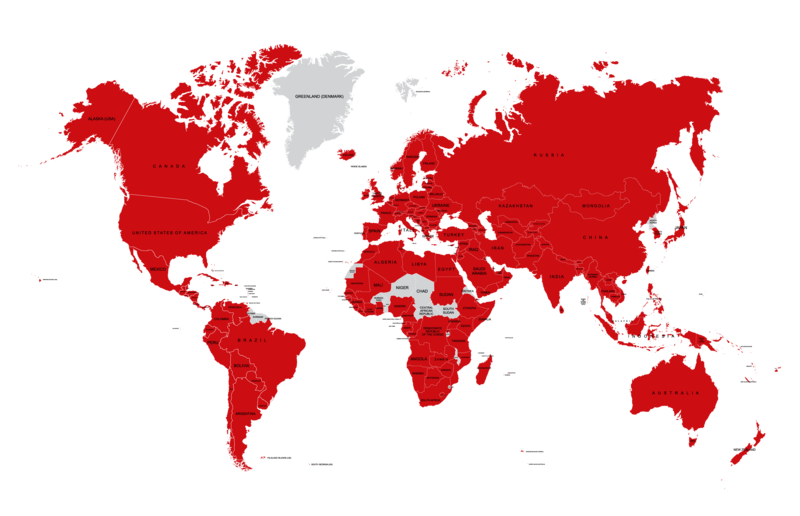 The map below shows many of the locations where Smith Brandon International has provided services (in red). Because our coverage is so extensive, no country is beyond the scope of our capabilities. If you do not see a particular location featured, please contact our offices as we still may be able to assist you.